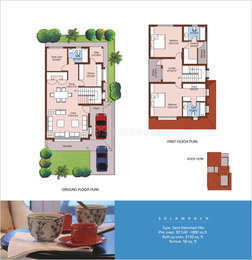 Alliance Bougainvillea in Iyyappanthangal, Chennai West by Alliance Group Builders is a residential project. 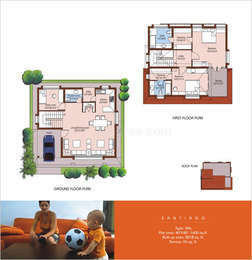 Alliance Bougainvillea price ranges from 1.25 Cr to 1.80 Cr. Alliance Bougainvillea offers facilities such as Gymnasium. 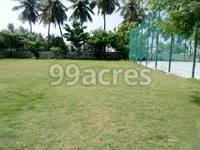 It also has amenities like Jogging track, Lawn tennis court and Swimming pool. It also offers services like Community hall, Grocery shop and Library. The construction is of 1 floors. 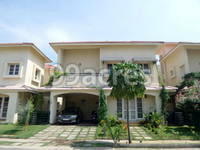 What is the project location?The project is located at Iyyappanthangal, Chennai West. Does Alliance Bougainvillea have kids play area? Yes the project has kids play area. Does Alliance Bougainvillea have gym? Yes the project has a gym. 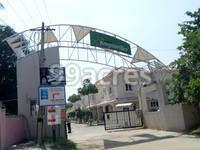 Alliance Group Builders is an eminent name in South India's real estate industry. While it's headquarter is located in Bangalore, the group has been operating in some of the neighboring cities as well. It is an ISO 9001 certified company which has been delivering remarkable projects since inception. Core values of the group are integrity, innovation, highest standards of quality, responsibility and timely delivery. It believes in building lasting relationships with clients which are based on trust and transparency.